Wow! Did you know that 2014 marks the 45th Anniversary of The Very Hungry Caterpillar? Yep! 45 years! Actually, the anniversary will officially be celebrated on the first day of Spring - March 20th. Which also happens to be the date of the annual "Very Hungry Caterpillar Day". It's very fitting that it would be the first day of Spring, don't you think? This book has got to be one of my hands down favorites! But hey-- you don't have to take my word for it (as they say on TV) -- 36 MILLION copies have been sold since it was first published in 1969 (& was named one of the best children's books that year by The New York Times). It's been published in 55 languages! 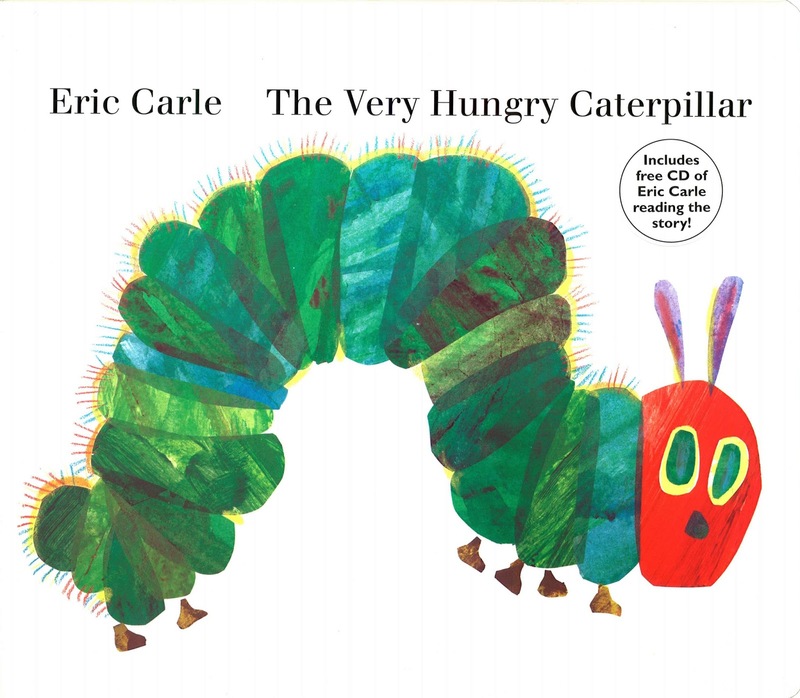 Today, every 30 seconds, somewhere in the world, a copy of The Very Hungry Caterpillar is sold! That is just simply remarkable! Its story of metamorphosis speaks to everyone. It's the story of the life cycle of a butterfly, to be sure....but isn't it also a story about the promise that lies within all of us? The story of change -- or perhaps more aptly-- the beauty of change? And the book itself is a work of beauty. Who could not be drawn in by the beautiful, vibrant, & dynamic illustrations. The creative page cuts makes the book even more dynamic & compelling. No wonder we are all "still hungry" for this classic--even 45 years later! 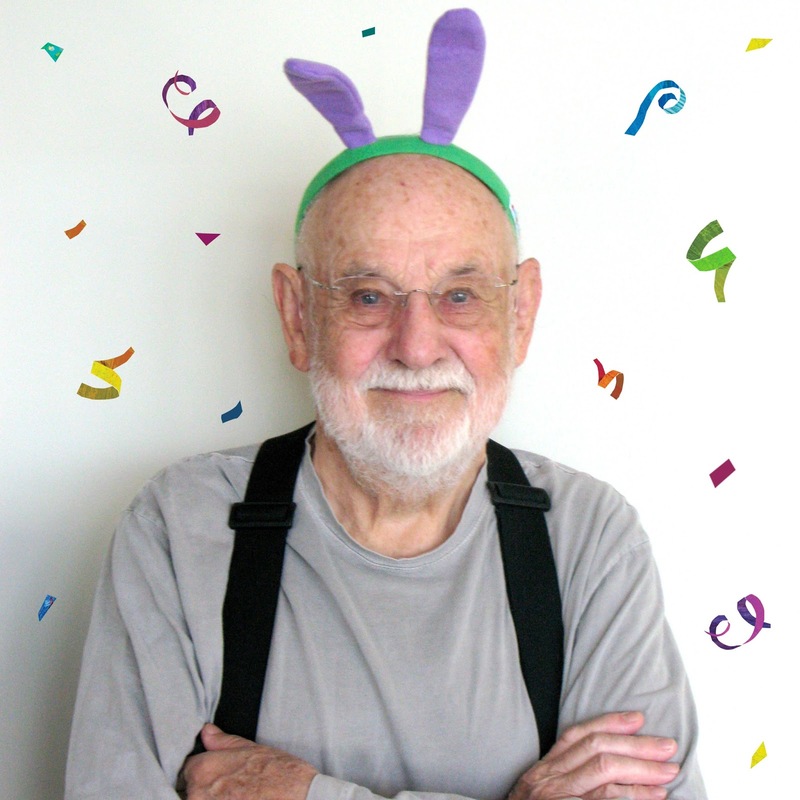 Eric Carle is acclaimed and beloved as the creator of brilliantly illustrated and innovatively designed picture books for the very young. He has illustrated more than 70 books, many best sellers, and more than 100 million copies of his books have sold around the world. In 2002, Eric and his wife Barbara opened The Eric Carle Museum of Picture Book Art in Amherst, Massachussetts. A 40,000 square foot space dedicated to inspiring a love of art among children by introducing them to picture book art by renowned artists from around the world. A quick look around Pinterest tells me that children are definitely inspired by this cherished classic! Make sure to stop by the Official Site! You'll find FREE printables and many other fabulous resources! !